Ministry of National Development Planning Director for Population and Development, Charles Banda, has indicated that accessibility to modern contraceptives by all married women in Zambia is at the moment standing at about 45 percent. Reverend Banda has further noted that access to family planning has generally continued to improve owing to the many infrastructure development programmes that government is implementing countrywide. He observed that government is constructing health posts and hospitals to enable easy access to health services including family planning services to enhance the practice by many households and individuals. In an interview with ZANIS, Reverend Banda added that government is further recruiting more health personnel, community health assistants as well as community distributors of family planning methods to take the services closer to the people. He has stated that the use of family planning especially condoms is a vital human right that should be embraced by everyone as it also protects people from contracting sexually transmitted diseases including HIV hence promoting a healthy society. Meanwhile, Young Women Christian Association (YWCA) Programmes Officer Chongo Mwila has indicated that her organisation is working with government to ensure that family planning services are accessed especially by the young generation. Ms. Mwila noted that YWCA has engaged a number of health institutions in the areas of its operation where information on family planning methods and services are encouraged. She however, regretted to note that family planning services are not found in remote areas across the country, while noting that issues of age and access to family planning products hinder a lot of girls from accessing the service. Ms. Mwila stated that currently in Zambia, the accepted age to access family planning services is 16 and above adding that anyone below the age of 16 must have the consent from either a parent or guardian. 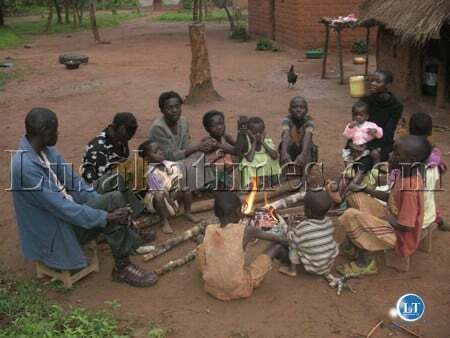 Is the Government planning for the Solwezi family of 13 in the picture above adequately? I wish this family planning had run between 1955 -1975, we wouldn’t have this outbreak of PF misbehavior. These poverties struck areas have the highest population density as parents do not have much work to do other than to giving birth because they have very little or no knowledge about child planning and birth control mechanisms. This reminds me of a Tonga man who being helped on contraceptives grabbed a broom handle depicting you know what, putting on a condom the next morning outside all the huts had broom handles with condoms on them.Boom after nine months HH was born.